Milling is the machining process of using rotary cutters to remove material from a workpiece advancing (or feeding) in a direction at an angle with the axis of the tool. It covers a wide variety of different operations and machines, on scales from small individual parts to large, heavy-duty gang milling operations. It is one of the most commonly used proces in industry and machine shops today for machining parts to precise sizes and shapes. Modular building of CNC milling machines greatly increases number of DIY projects. There are standard construction designs with modules for linear transmission and electrical components available on the market, but to get machine in motion, a controller is needed. CNC USB controller offers wide variety of output and input signal functions, that meets the demand of the most complex DIY router or CNC milling machine. There are also some features like automatic tool length measure, automatic tool change, camera offset measure that speed up setup process of machining. Planet CNC USB software supports all cutter compensation methods for common milling operations and advanced interpolation algorithms, that allows you to do 3D milling of complex parts. It also works with Gerber and NC-drill files. 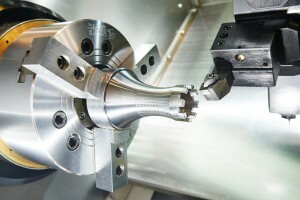 Software supports G code from leading CAM programs on the market.